So, the shutdown of 365gay.com on October 1 also meant the disappearance of all of my archived columns. At some point in the future I may try to find a way to collect my favorites and publish them in a book or post them online somewhere. You can still find some of them at pridesource.com, and others (pre-2009) archived at my old website here. 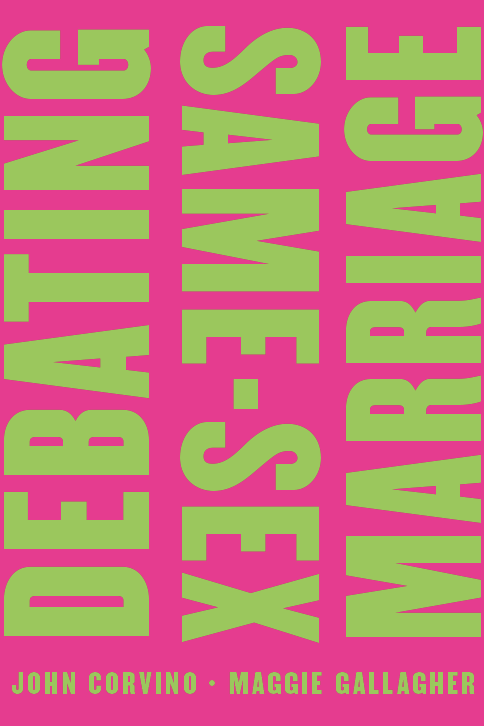 Good news: there has been progress on the marriage debate book with Maggie Gallagher, which should appear in Spring/Summer 2012. In order to finish that book by deadline, I’ve (regretfully) canceled my appearance at Skepticon this November, but check the Calendar page for other speaking engagements. My first appearance at the New York Times website, here. In fact, I still think it’s false. Some people make more of the hand they’re dealt than others; some put in considerable effort, others very little. Some, frankly, are just lazy callous bastards. But I’ve come to understand that her aphorism isn’t best read as a description. It’s a guideline. When interpreting others’ actions—especially hurtful ones—adopt a principle of charity. They’re not trying to hurt you: they’re doing the best they can with what they have. The principle reminds us that there are often causal factors beyond our knowledge. And it can sometimes save us needless and counterproductive bitterness. I was reflecting on this aphorism recently as I recalled an incident that happened nearly two decades ago. It involved my paternal grandfather, the man after whom I was named. Grandpa John was the only one of my grandparents I did not come out to directly. When I came out to his wife (my Grandma Tess, with whom I was especially close), she told me that she would break the news to him herself. After the revelation, I detected a slight stiffening in his manner, especially when he observed me with male friends. I’m sure he imagined us being “queer” together. But Grandpa was a gentle man, and he remained so with me. We never discussed the issue. One day, as my extended family was gathered at the Christmas dinner table, my two grandfathers were having a lively conversation about the “old neighborhood” in Brooklyn. The conversation turned to a favorite restaurant, Tommaso’s. My sister and I happened to be sitting across the table from each other. We looked up and locked eyes for several seconds. About five minutes later, while waiting for the next course, my sister noticed Grandpa John with his elbows on the table, holding his head. “What’s wrong, Grandpa—do you have a headache?” she asked. “No,” he responded quietly. “I said something I shouldn’t have said.” He was slouched, and his hands obscured his face. People sometimes wonder how I can ever give the benefit of the doubt to “homophobes.” One reason is simple: It’s because I have loved, and have been loved by, some. My paternal grandfather was a high school dropout who, aside from military service, never traveled more than a few hundred miles from his birthplace. He collected tickets at the racetrack and worked for the NY Sanitation Department. He was a good man, a hardworking and loving provider. But he wasn’t what you’d call worldly. On that day, two deep-seated impulses in my grandfather’s world collided. He disliked queers. He loved me. Although my gayness pained him, the realization that he had hurt me pained him even more. That was the closest we would ever come to discussing his feelings on the matter. He died just a few years later, felled by a sudden heart attack after shoveling snow for an elderly neighbor. He did the best he could with what he had. I still admire him for it.